FFA - The Tampa Tribune gives glowing report for CAIR event which publicly challenged Islamophobia and was held at the al-Qassam mosque named after inspirational figure to Palestinian terrorists. Florida Family Association encouraged citizens who were concerned about The Tampa Tribune’s biased reports to contact their advertisers during that time period. See Original article from January 19, 2012 below. Florida Family Association sent out an alert on January 19, 2012 which asked supporters to send emails to twenty Tampa Tribune advertisers to protest the paper’s bias. GOOD NEWS! Fourteen of those twenty companies did NOT continue to advertise after receiving emails from thousands of supporters. Now Florida Family Association is targeting thirty two companies who recently advertised on The Tampa Tribune web site because of the paper’s continued bias. 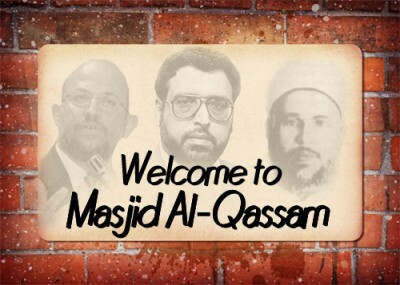 The Islamic Community of Tampa, also known as the al-Qassam mosque … exalts Izzedin al-Qassam, who remains an inspirational figure to Palestinian terrorists. Hamas named its terrorist operations branch for al-Qassam. Most rockets fired from Gaza toward Israeli homes and schools are called Qassam rockets. Both the mosque and CAIR seem oblivious. "Ignorance leads to misunderstanding, which in turn leads to fear, hatred, discrimination, and even violence," said CAIR-Tampa executive director Hassan Shibly in the release. "By reaching out and getting to know each other, we can love each other as a community and recognize that our differences need not divide us." But violence was at the heart of al-Qassam's message. Jihad, he said, was the only path to freedom. According to a booklet issued by the Islamic Association for Palestine, an arm in a Hamas-support network, al-Qassam instructed followers that "Jihad is a religious obligation till the Judgement (sic) Day. We all need to do Jihad in the name of God to free our countries from the colonialist to become Islamic States that apply God's laws. "Arm yourself no matter what are the circumstances. Sell everything you have and buy weapons to fight the occupation." Click here to read full report at Investigativeproject.org. This follows Tampa Tribune columnist Joe Henderson who began his December 14, 2011 column in response to Florida Family Association’s opposition to the show All-American Muslim with “It's easy to dismiss David Caton as a gasbag, divider, zealot or even a hatemonger.” Click here to read more about The Tampa Tribune’s bias at Floridafamily.org. January 19, 2012 original article. America is the world’s home base for Christianity and champion defender of Israel. Islamization in America is therefore a direct threat to the worldwide security of Judaism and Christianity and the traditional American values cherished by millions of Americans. See foot note 3 below for some passages from the Qur'an that espouse intolerance for Christians, Jews and non-Muslims. • Legitimize groups like CAIR (Council on American Islamic Relations). • Validate Islam with their Sharia law code of conduct. • Include misrepresentations that are intended to impugn our credibility. • Employ name calling tactics that scare other people from speaking out. • Produce a hostile climate that elected officials may want to avoid. The left has gone after companies that advertised on Rush Limbaugh, Glenn Beck and other conservatives. The lefts’ attacks against advocates on our side have had a chilling impact on commentators who would otherwise speak freely about the truths of the Islamic code of conduct called Sharia (note 1) and Caliphate (note 2) . Consider the following three examples of how The Tampa Tribune has dealt with Florida Family Association’s efforts to oppose Islamization in America. First, the Tampa Tribune columnist Joe Henderson began his column in response to Florida Family Association’s opposition to the show All-American Muslim with “It's easy to dismiss David Caton as a gasbag, divider, zealot or even a hatemonger.” Click here to read his full article. Second, consider the difference between the Tampa Bay Time’s (formerly St. Petersburg Times) and The Tampa Tribune’s January 10th report regarding Florida Family Association’s efforts which challenged a school board for allowing CAIR (Council on American Islamic Relations) officials to instruct students about Islam, Sharia and Human Rights. The Tampa Bay Times headline “Florida Family Association's David Caton protests Muslim speaker's visits to Hillsborough School” accurately reports the facts. Click here to read full report. The Tampa Tribune headline “CAIR chief says criticism rooted in misconceptions” appears to be an apologetic defense for CAIR. Click here to read The Tribune article. Third, The Tampa Tribune reporter who first called Florida Family Association in May 2011 about the organization’s report regarding the alleged honor killing of Fatimah Abdallah was more concerned with finding out who told the organization about her death than he was with the incident itself. The reporter spent about half his time on questions involving how Florida Family Association discovered the death of Fatimah Abdallah rather than on the facts that were revealed. The lack of facts reported by The Tampa Tribune is bore out in The Tampa Tribune article. Compare The Tampa Tribune report with the St. Petersburg Times report. The St. Petersburg Times (now The Tampa Bay Times) article clearly provides much more facts on the case. We can no longer sit back and allow the liberal media to attack people who speak out against the threat of Islamization and act as an apologist for CAIR. Footnote 2. Caliphate is the worldwide dominion by an Islamic sort of emperor called Caliph who is charged with enforcing Sharia law on all inhabitants. Footnote 3. Passages from the Qur’an which appear to order Muslims to fight those who do not believe in Allah. Qur’an 9:29 Fight those who do not believe in Allah or in the Last Day and who do not consider unlawful what Allah and His Messenger have made unlawful and who do not adopt the religion of truth from those who were given the Scripture - [fight] until they give the jizyah willingly while they are humbled. Surah 9:29 Fight against such of those who have been given the Scripture as believe not in Allah nor the Last Day, and forbid not that which Allah hath forbidden by His messenger, and follow not the Religion of Truth, until they pay the tribute readily, being brought low. Qur’an 9:73 O Prophet, fight against the disbelievers and the hypocrites and be harsh upon them. And their refuge is Hell, and wretched is the destination. Qur’an 9:111 Indeed, Allah has purchased from the believers their lives and their properties [in exchange] for that they will have Paradise. They fight in the cause of Allah, so they kill and are killed. Qur’an 9:123 O you who have believed, fight those adjacent to you of the disbelievers and let them find in you harshness.